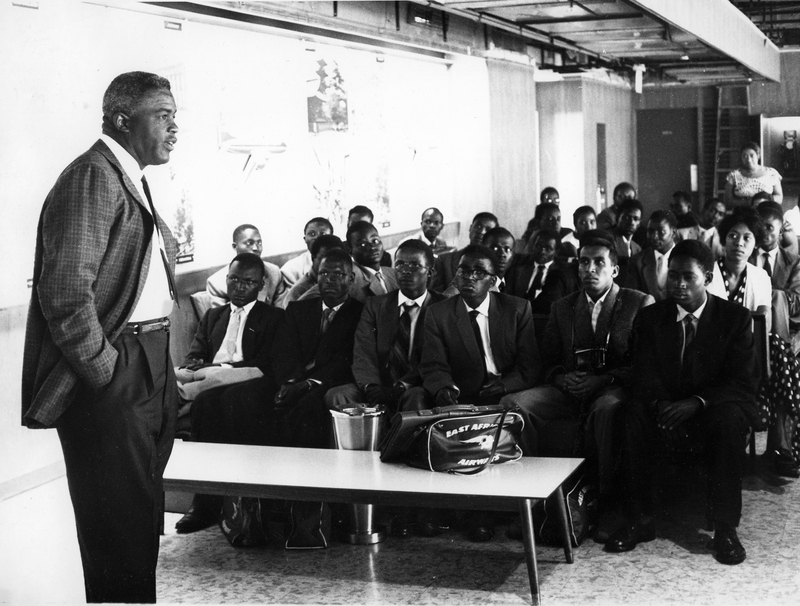 Jackie Robinson addressing students from Kenya and East Africa that were brought to the United States to study by the African American Students Foundation. 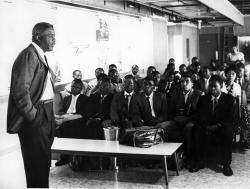 Robinson, who headed the fundraising campaign for the 1959 airlift, was a baseball star, civil rights activist and the first African-American Major League Baseball player. Most likely this photo is from 1960.